Samsung launches M10, one of the affordable M series smartphone in Nepal. The M series is Samsung’s answer to Xiaomi, Huawei and other Chinese smartphone vendors. 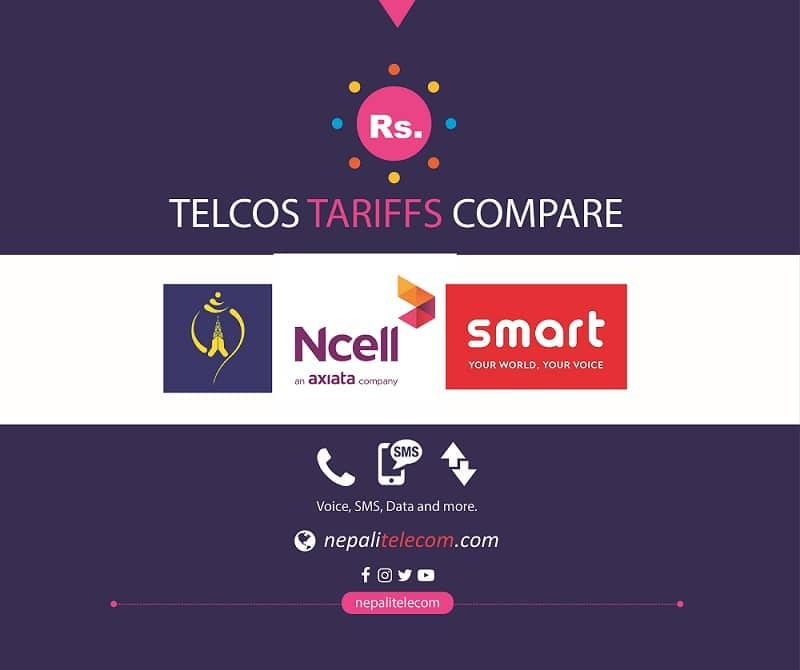 Samsung M10 having a solid build quality, competes well with other similar range phones. 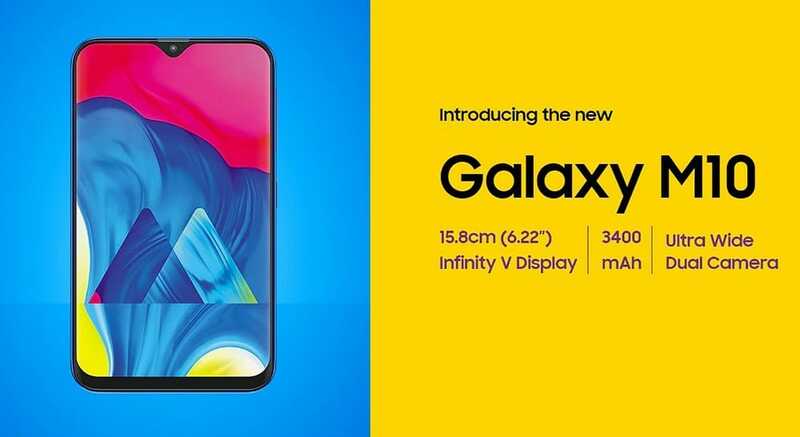 Let’s see what we can get with the price tag of Rs 13790 in Samsung M10. Samsung M10 has a 6.22 inches, 720 x 1520 pixels IPS display having 90% screen ratio and 19:9 aspect ratio. The screen has a tear drop notch to house the front facing camera. The phone is powered by its own Exynos 7870 Octa-core processor. The 4G smartphone has 2 GB of RAM and 16 GB of storage, storage expandable up to 512 GB with a micro SD card. Here is how Samsung expresses about their phone. 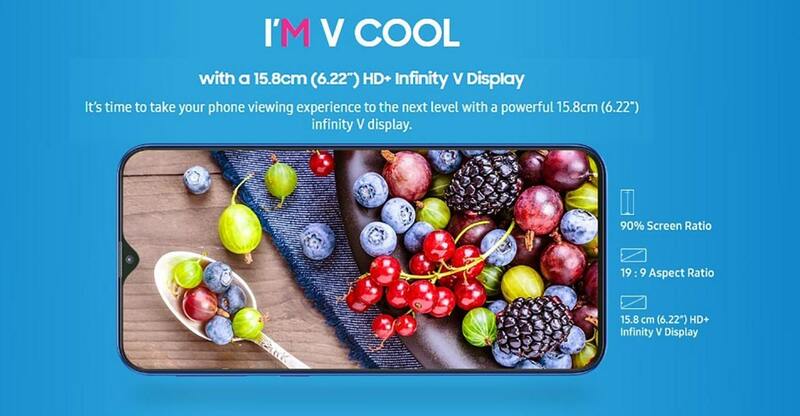 I’m V cool: 6.22 inch HD+ infinity V display, 90% screen to body ratio. I’m Social: Ultra Wide dual rear camera. Easy group photos. I’m fab: 13 MP/ f1.9 live focus camera. Portrait shots and low light photo. I’m quick: 1.6 GHz Exynos Octa core processor. Dual VoLTE and dedicated memory slot. 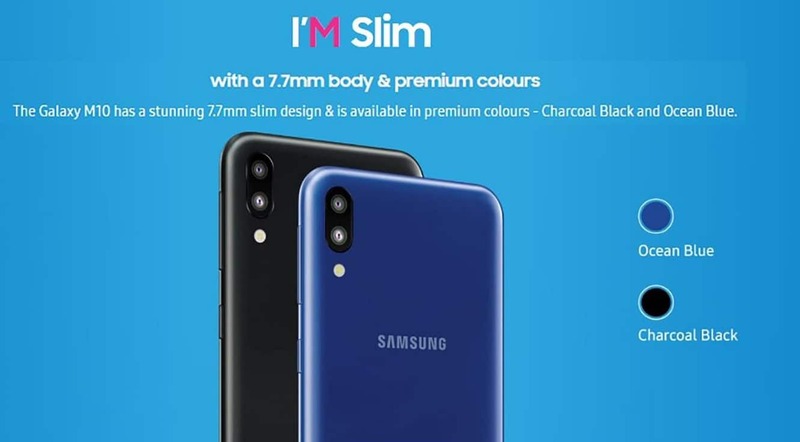 I’m slim: 7.7 mm slim body. I’m secure: Fast face unlock. As the above tag lines have marketing flavor, here are the detailed specs of the Samsung M10 phone. Face unlock with front camera. Samsung M10 is already available at leading offline stores and also at Sastodeal and Daraz online stores. Please comment about what do you feel of Samsung M10 phone and its price.